Karen was in Texas during the week of her birthday, and we had fun searching for new foods and catching up with old friends. Her birthday celebration began by popping RoRo’s Cinn-A-Rolls in the oven for a late breakfast. RoRo’s first caught our eye on Central Market’s “More, Please” blog. 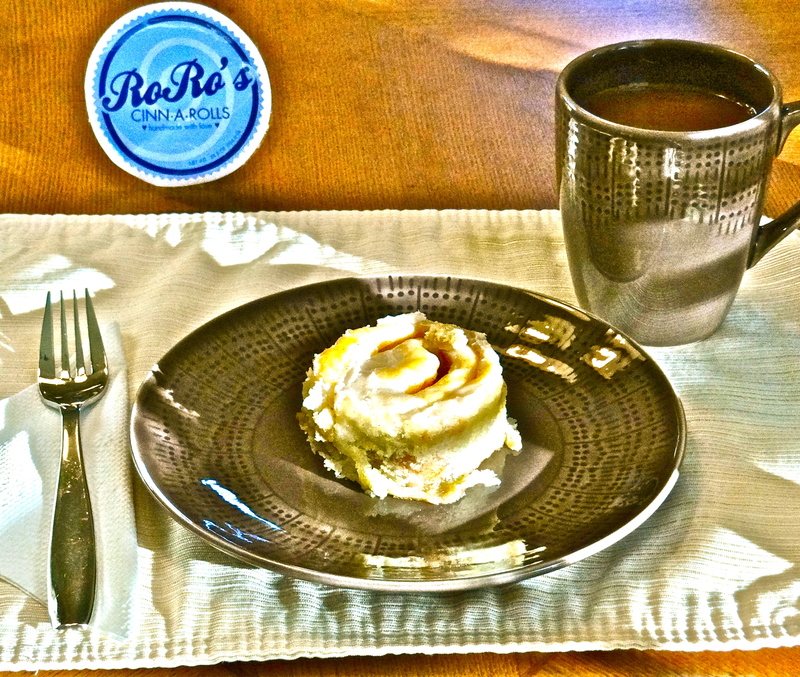 Amy Collins and her family established Dallas-based RoRo’s in April 2011, using the cinnamon roll recipe her grandmother (AKA “RoRo”) created to wow neighbors and friends. RoRo is actively involved in the company, from baking duty to marketing efforts. We purchased a dozen frozen pre-baked cinnamon rolls, and when we saw the icing already on the rolls, we were a little concerned about the taste and texture outcome after the rolls were warmed. We left them to thaw on the counter overnight, then warmed them in the oven the next morning. Our concerns quickly vanished with the first bite. The cinnamon rolls were flaky, moist, and tender, with a perfect mix of cinnamon and sugar – not too sweet, and the cinnamon was not overwhelming. The warm icing deliciously melted into the rolls for creaminess in each bite. Like many artisans, Amy and her family are committed to quality, small batch baking. You can almost taste their tagline, “handmade with love”. RoRo’s is distributed through select retailers in several states, including Central Markets in Texas. We can’t think of a better addition to your breakfast or brunch table!